Put a big grin on everyone’s faces with this 5 piece Cheshire Cat costume. 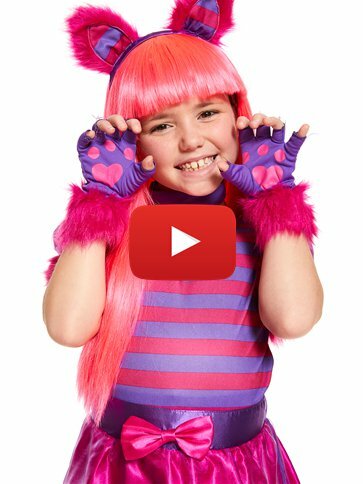 Perfect for World Book Day, this outfit will transform your little one onto into the memorable character from Alice in wonderland. 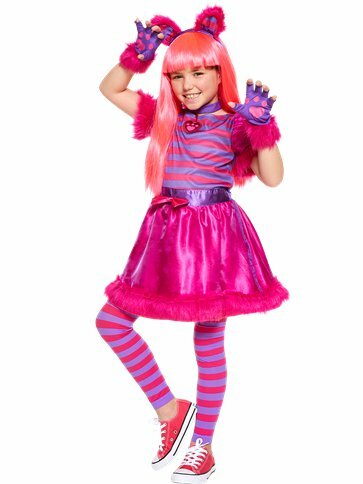 The pretty dress has a purple and pink striped bodice, and a bright pink skirt with a purple overlay trimmed with a fur hem. 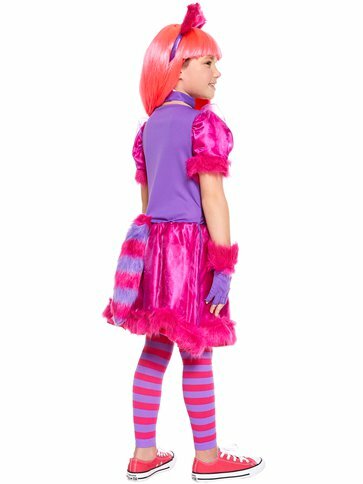 A stripy tail attaches to the back with Velcro, and perfectly matches the footless tights. To complete the look, there are fingerless gloves and cute fluffy ears on a headband. Want it Friday, 26 April? Order it within 11hrs and 40mins and choose Premium by 9pm Delivery at checkout.